I just love it! When Jenni Bowlin Studio released their Chalkboard Easel last year, I thought it was brilliant. The easel becomes a background for any project and if you wish, you can erase and reuse to your heart's content. 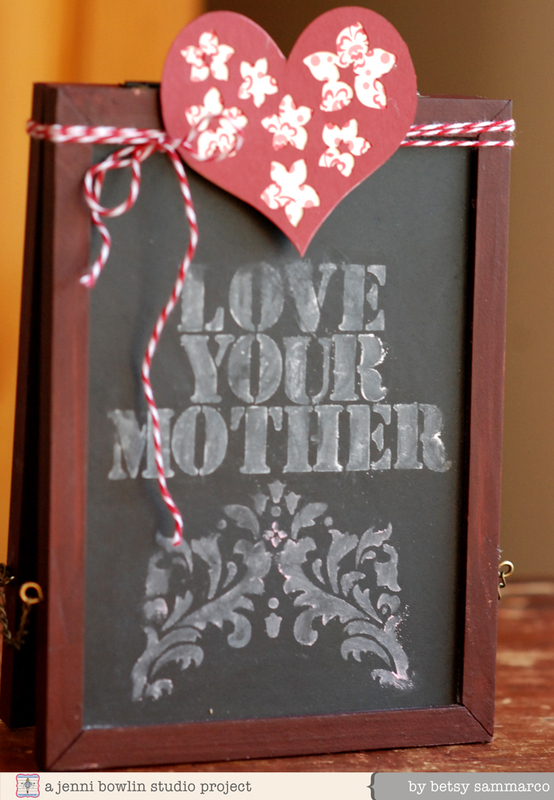 Now, I'm seeing the chalkboard motif in design and home dec everywhere and my easel is getting a lot of use. My two boys recently went back to college and I felt I needed to remind them to "do good", so I placed this decorated easel on our kitchen table as a not so subtle reminder. Working on a chalkboard is so much fun because there is no "wrong" - you simply erase what you don't like and do over as you please. There are a million ways to write on the chalkboard, but my favorite way is with stencils and artist's chalk. Remember the chalk that was so popular years ago? 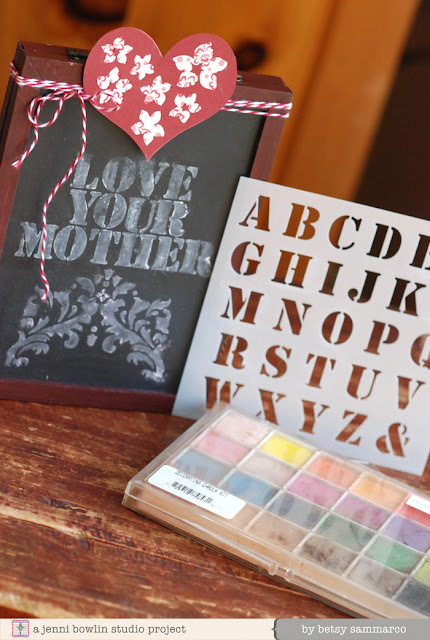 Take them out again, grab a stencil, and use a makeup applicator, q-tip, or other applicator to apply your design and text on the board. I used the classic stencil text from the Mercantile Exclusive Stencil - Alphabet and a decorative stencil I had in my stash. 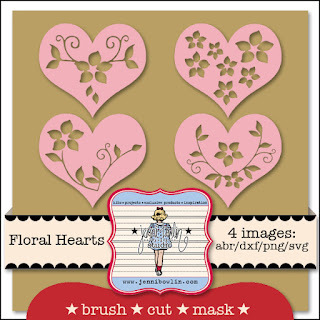 This digital kit is on sale through Sunday midnight PT for only $1.87 ! 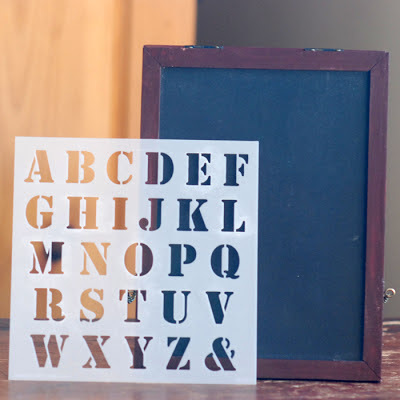 Now that my boys are settled and hopefully doing well, I'm erasing my chalkboard to a clean slate and have my stencil ready for my next little display!